Even with LeBron James switching teams, this offseason hasn't felt as action packed as year's past. For now, the NBA and its players can only hope some sense of normalcy is restored next summer. Even when you factor in Boogie Cousins, Lakers exceptionalism, and LeBron James switching teams for the third time, free agency in the NBA this summer has been kind of... boring? Sure, the debates have raged over cap smoothing, what’s good for the league, and if Magic Johnson is secretly trying to sabotage James’s legacy. Still, there seems to be something fundamentally wrong with how free agency has gone this summer. Talented players are opting into their contracts instead of hitting the market. Valuable guys are settling for one-year deals. Simply put, not enough players are getting paid. If you’ve seen Avengers: Infinity War, then you know life is all about balance (and, uh, what you’re willing to do for that balance.) That’s what the NBA has been lacking this offseason. While some of the best players in the league still got paid (James, Chris Paul), the middle class has been absolutely squeezed out. Why haven't more teams gone after Marcus Smart? 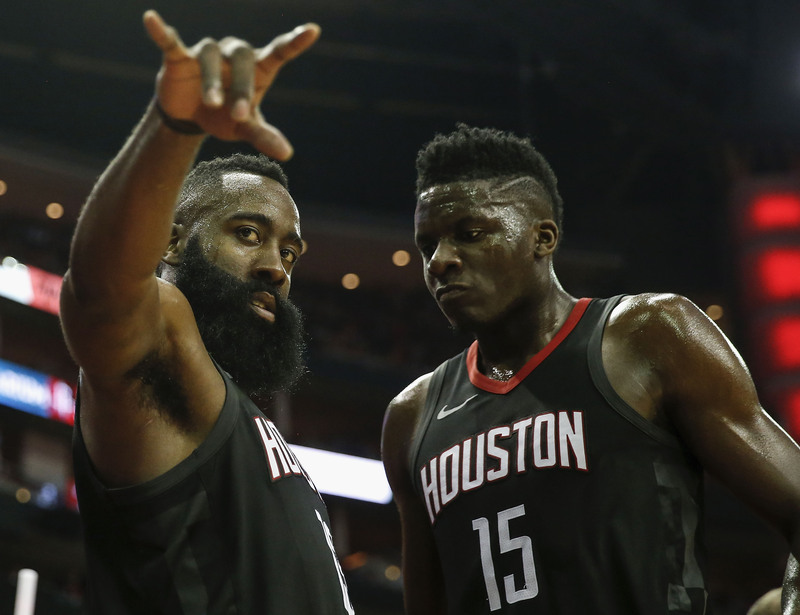 Will anyone offer Clint Capela a contract? Is Jabari Parker not worth a chance? Why hasn’t a contender swooped up Wayne Ellington? A lot of GMs are still paying the price for acting like a kid in a combination candy/toy-store in 2016, and handing out contracts a little too eagerly. I think the ramifications of (the lack of) cap smoothing are a worthwhile conversation to have, but I also don’t remember people loving the Timofey Mozgov or Evan Turner signings as they happened. This is where the balance comes into play. On one hand, it’s in some ways better for the health of the league when teams aren’t handing out massive contracts to middling role players. On the other hand, it’s a little bit underwhelming as a consumer to watch what feels like most teams standing pat because they are either a) not really contenders or b) locked into bad deals. I do wonder to what degree the Warriors have played a role in this chilling effect on free agency. This is not the moment in which I’m going to blame all the NBA’s problems on Golden State. But it does seem fair to ask if extremely fringe contenders—let’s say a team like the Wolves—feel the need to pursue upgrades in the middle class when the distance between the top tier in the NBA and the next two tiers down is arguably the biggest it’s ever been. The flattening of the cap has also played a role, and is perhaps the biggest factor. A continued boom after 2016 was never expected, nor did the NBA predict the cap to stay relatively the same the two years following. ESPN’s Brian Windhorst and Bobby Marks wrote about this summer’s money crunch back in February, and we’re seeing it play out as useful players toil in the market or take below-value deals, while contenders seem to be slipping even further away from Golden State. The hope now is that next year brings a sense of normalcy back to free agency. And there are reasons to be excited about the summer of 2019. The free agency class will be loaded (Klay Thompson, Jimmy Butler, Kawhi Leonard and Kevin Durant could all be unrestricted) and teams should finally have money again. The combination of a projected cap increase and some of the 2016 deals coming off the books should help a lot. Teams like the Knicks, Clippers, Lakers, Nets, Bulls, Sixers and Mavericks (among others) should all be able to open up at least one max salary slot. The rise in cap also raises the luxury tax line, which should help teams spend a little bit more as well. It’s not exactly novel for NBA fans to be excited for future offseasons. The buildup to the summers of 2010 and 2016 were years long. But this summer has felt more like a holding pattern for the league than any summer in recent memory. Instead of another arms race, most teams have seemingly only taken a step back from challenging the Warriors for the 2019 title. Even the Lakers, after signing perhaps the greatest player of all time, looked to start immediately putting their eggs in next year’s free-agent basket. Though that strategy is definitely shrewd, it’s not exactly exciting to watch what feels like a bunch of teams punting on the upcoming season. Free agency feels bland now but things will change once the season starts. Contenders like the Rockets will continue to tinker throughout the year. The Celtics will look completely different with healthy seasons from both Kyrie Irving and Gordon Hayward. All is certainly not lost. The biggest takeaway from this summer, however, seems to be that the gap between the haves and the have nots—for both players and teams—has only widened. Next summer, then, should hopefully bring a renewed sense of competition across the league.